1. Professional adjustment buttons Treble / Bass / Volume / Father / Reverb can be adjusted by the microphone. 2. Bluetooth wireless microphone and speakers, two-in-one, no additional connection to work independently. 3. 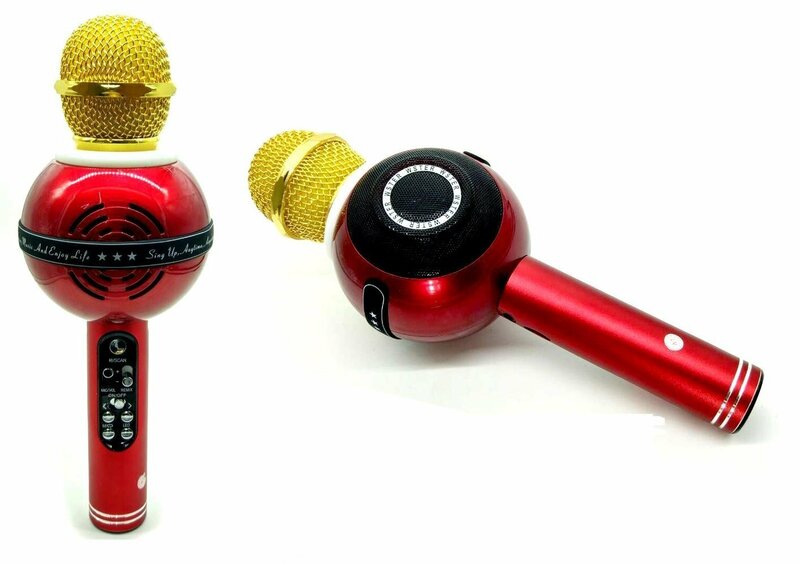 The microphone head has three noise reduction processing, more effective highlight your beautiful voice. 4.1800mAh battery up to 6 hours of singing, enjoy the smart phone APP KTV karaoke effect. 5. Compatibility, suitable for iOS and Android smart phones, iPad tablet PCs, Bluetooth and so on. 6. Multi-purpose: Bluetooth speakers, karaoke singing, car audio, music recording, interviews, podcasts and so on. 7. All the ideal singing voice applications can be used as Bluetooth speakers.